What attracted you to your man in the first place? That’s a question that married women hear often. So far, the answer to this question was based on traits like his beautiful eyes, his sense of humor, his exceptional physique, his intellect, his “bad” attitude. Regardless of being married or not, we all know that there are specific things that attract us to a man in the first place. But are those traits that we find really appealing the ones that leads us to saying “I do” when he pops the big question? Recent research indicated that what makes turns a partner into a potential spouse is our DNA. How is that so? A study from the University of Colorado-Boulder has shown that spouses tend to have more similar DNA to each other that they do with a randomly selected individual. 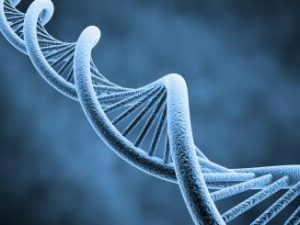 While characteristics such as race, body type and even education have genetic components, this is the first study to look at similarities across the entire genome (DNA). Benjamin Domingue, the lead author of the study said in a press release that even though “it’s well known that people marry folks who are like them, there’s been a question about whether we mate at random with respect to genetics”. The study has been made in a population of 825 heterosexual non-Hispanic white American couples. The DNA of each spouse was compared to each other and to two other people randomly selected, comparing 1.7 million potential points of genetic similarity. The results that came out showed that spouses had a significant number of genetic similarities, compared to the two random individuals. Of course, the similarity observed between spouses is nowhere as close to the genetic similarity between siblings. Nor is it as close as the tendency we have to marry someone with similar education to us, still it is something that can affect our decision of our husband. Genetic similarity between husband and wife carries about one-third the strength of educational similarity. This study surely is small and represents only the first step in understanding the genetics behind mate-choosing. Still, further studies need to expand to other ethnicities too, as well as marriages between people of different ethnicities, as 1 in 12 marriages, based on a 2012 study, is between people with different ethnicities. But this study, also, sets the base for future research to explore whether people choose genetically similar friends. Correlation, of course, does not imply causation. The exact reasons that cause spouses to have similar DNA are going to be doubtless plumbed to great depths in the coming years, with many successive studies. Still, it’s interesting to think that all those emotions, sweeping passions and great dramatic moments may have a very mundane, powerful cause as their root: our genetic makeup.